Any mention of Sydney will surely conjure up daydreams of its iconic harbourfront, glittering beaches and furry marsupials. 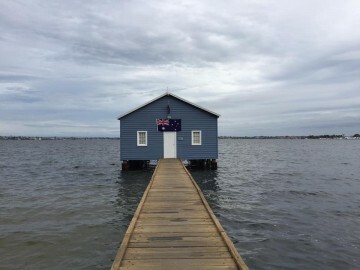 But behind the postcard-perfect horizon lies so much more: one of Australia’s most vibrant and arresting cultural capitals, and a gateway to the surrounding topography of lush parklands and lively coastal waters. 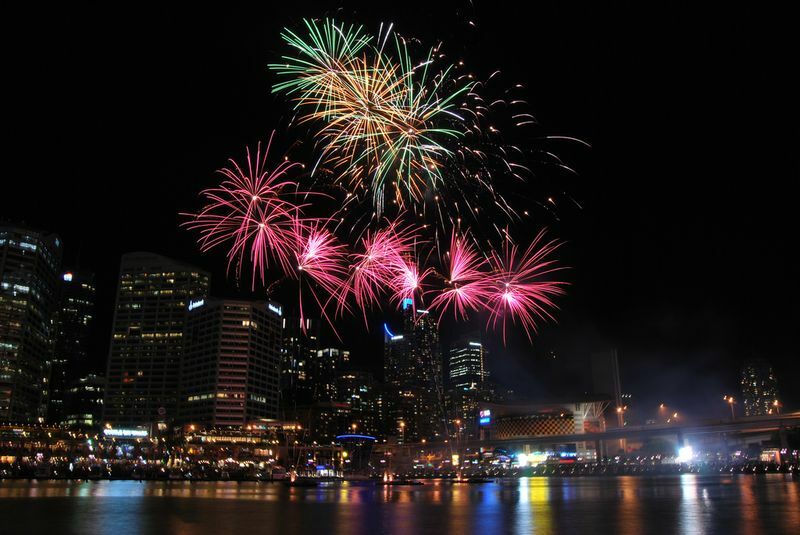 It’s guaranteed to be an adventure the whole family will never forget: watch the weekly firework display at Darling Harbour, sandboard down the largest moving coastal dunes in the Southern Hemisphere, and take a deep breath of fresh mountain air as you feast on the panoramic views of the Blue Mountains National Park. Encounter all this and more − without the hassle of planning and research − when you join CTC’s all-inclusive 6D4N Grandeur of Sydney package tour on Qantas Airways from only S$1,588! All you have to do is pack your luggage. Fly with Australia’s favourite airline, Qantas Airways, and start your Australian adventure before you even arrive. From the moment you step onboard, feel like you have arrived in Australia with a warm welcome and a meal inspired by Australia’s produce. With menus inspired by leading Australian chef and restaurateur Neil Perry, you’ll enjoy delicious cuisine and award-winning Australian wines regardless of the cabin you’re travelling in. 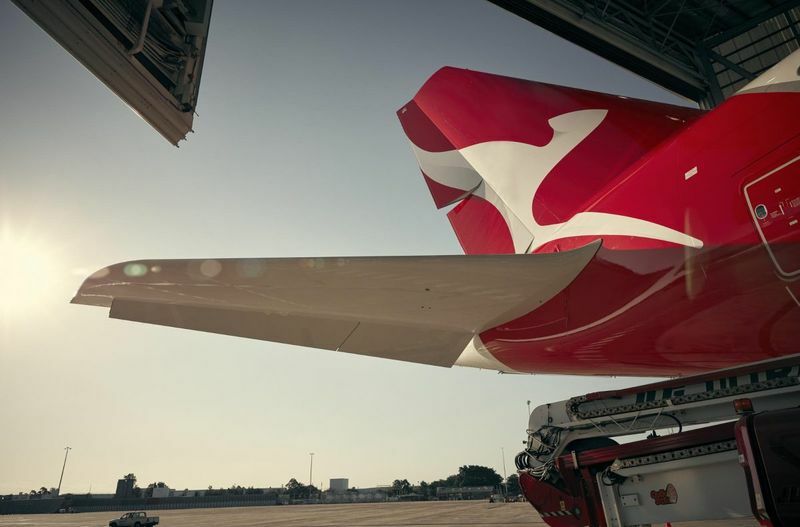 Choose to fly on the Qantas A330 or the Qantas A380, and choose from First, Business, Premium Economy, and Economy*. You’ll be blown away by the number of entertainment options on board, from boxed sets of your favourite series to the latest movie releases, and relish your first glimpse of Sydney from the plane window! *First and Business Class is only available on selected flights on the Qantas A380. 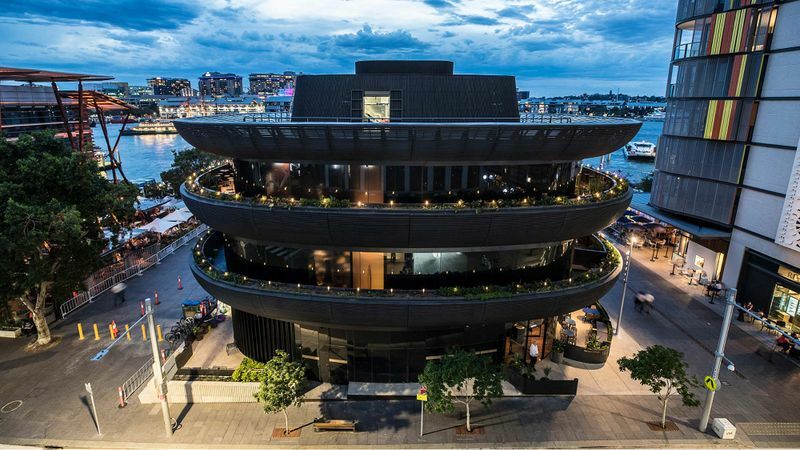 After checking into your accommodation, it’s time to lace up your shoes and explore the lively city of Sydney.Head over to Barangaroo House at Sydney’s new harbour foreshore precinct Barangaroo; this waterside dining complex is recognisable for its creative facade designed to look like plates stacked atop each other. The laidback House Bar on the ground floor has 12 bars on tap and a selective all-day menu. 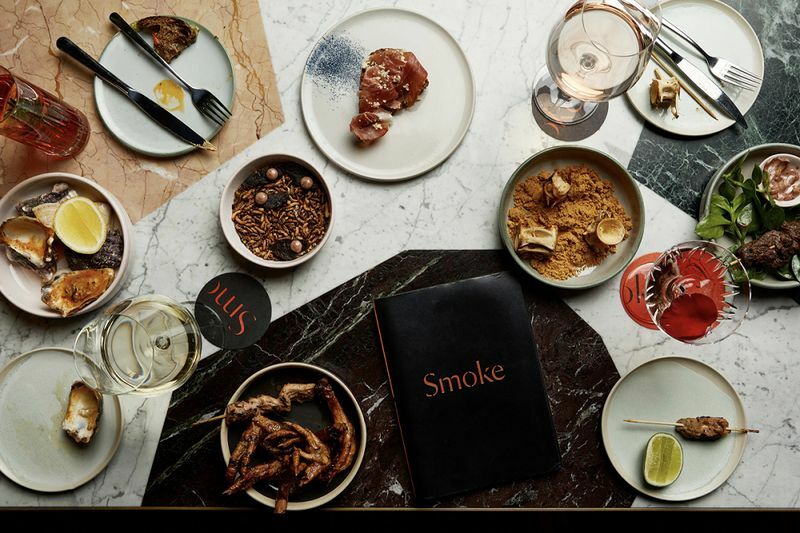 Head up to the elegant rooftop bar Smoke to enjoy the harbour view al fresco while you sample its extensive range of fine wines, champagnes, seasonal cocktails and contemporary Australian cuisine. 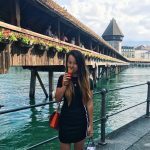 For those who get excited by innovative mixes, the experimental spritzer house, This Must Be The Place, is popular for its original twists on classic spritzes; the light, refreshing drink is perfect for unwinding in the evening. 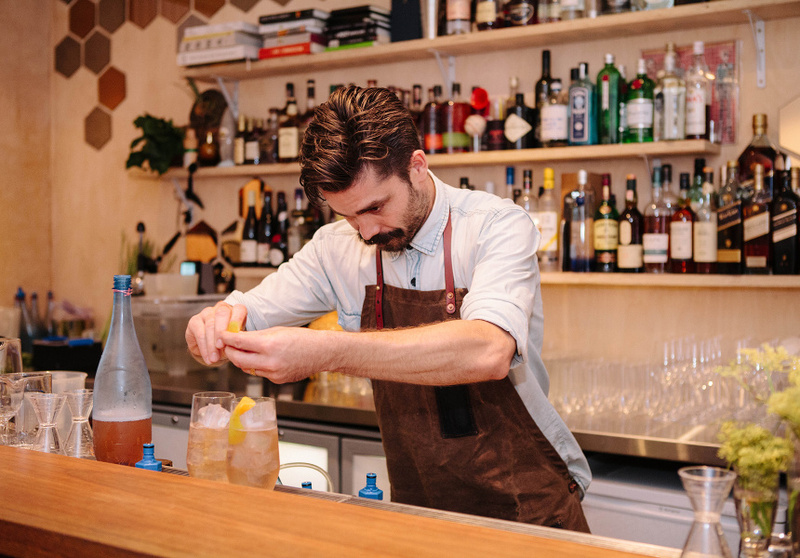 The suave neighbourhood bar, Dead Ringer, is also a favourite amongst the locals of Surry Hills, with its selection of Australian wines, beers and ciders to complement its dining menu centered around local produce.Get a good night of sleep; a busy day of sightseeing awaits you tomorrow! 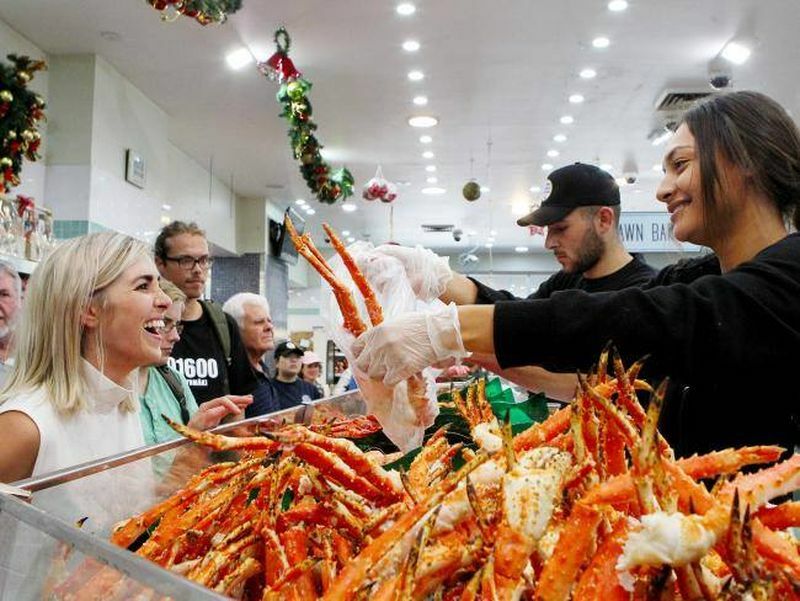 On Day 2, the 6D4N Grandeur of Sydney package tour will take you to the Sydney Fish Market – the largest working fish market in the Southern Hemisphere. You’ll find over 100 species of seafood (both live and cooked) from the diverse range of stalls – from restaurants, cafés, bakeries, butchers to bottle shops. Make your way to the Sydney Fish Market at 6.40am to have an exclusive behind the scenes tour of the weekday wholesale auction. You’ll tour the auction floor with a trained guide, learn about the Dutch auction system used by the market and witness oyster shucking. While you’re there, put on your apron for a cooking class with the Sydney Seafood School. You’ll learn about seafood handling, cooking techniques and walk home with an exclusive recipe kit for yourself. You’ve seen postcards of the iconic skyline of Sydney Harbour. 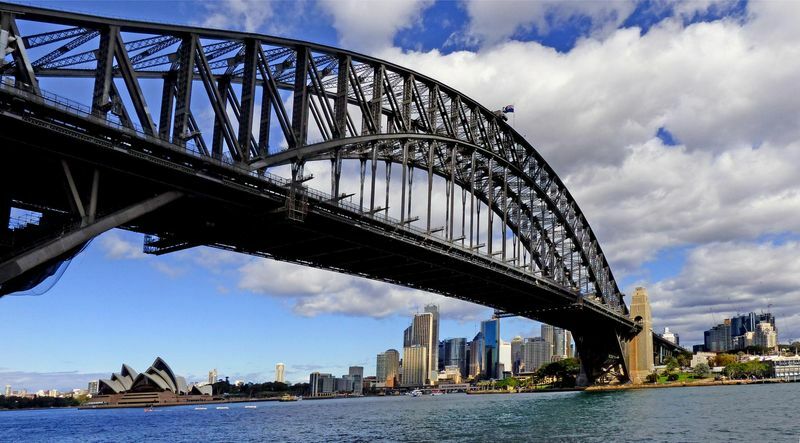 Now watch it come to life with panoramic views of the bay as you amble across the pedestrian walkway of Sydney Harbour Bridge, fondly nicknamed “The Coathanger” due to its distinctive shape. Look out for the Sydney Opera House on your way; this premier venue has a dynamic calendar of events with over 40 performances every week, spanning classical and contemporary concerts, comedy shows, operas, ballets, theatre performances and even magic shows. If you’re in town from 19 to 29 December 2018, try to get tickets for The Illusionists’ hotly anticipated magic show for an entertaining evening of antics and trickery! 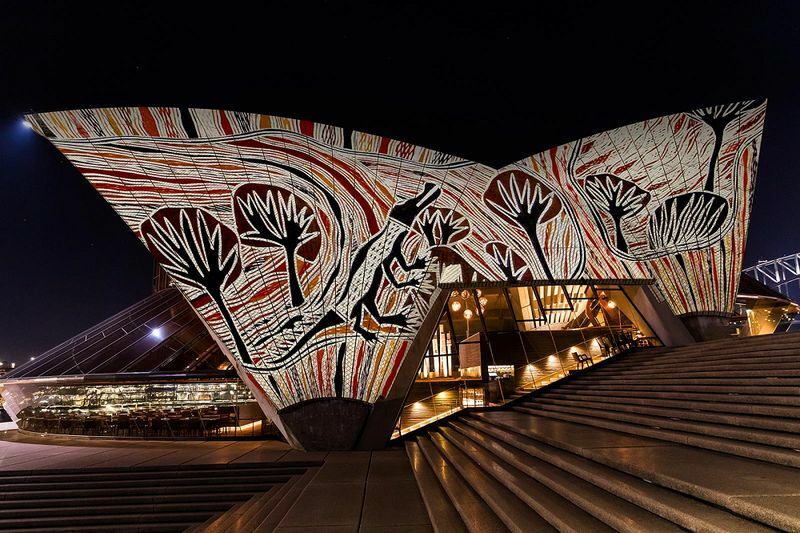 Every evening at sunset and 7pm, the sails of the Opera House also light up with the light projections of Badu Gili (meaning ‘water light’ in the language of the Gadigal people). The monumental artwork continues the community and storytelling traditions of the First Nations and is best experienced from the top of the Monumental Steps. Darling Harbour is an effervescent precinct with an array of dining, shopping and entertainment options. Visit on a Saturday evening to witness the weekly spectacular fireworks displays, after grabbing a bite at one of the eateries at Steam Mill Lane. If you’re already missing the taste of home, pick up some bubble tea from Gong Cha here! There’s really so much to explore in Sydney. Make the most of your time with privately arranged transport when you book CTC’s 6D4N Grandeur of Sydney package tour with Qantas Airways. 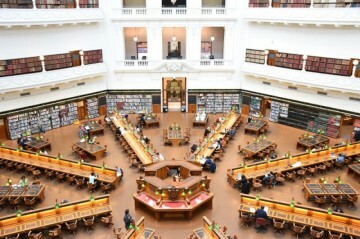 You’ll be taken to all the attractions above, as well as Chinatown, St Mary’s Cathedral, Mrs Macquarie’s Chair and more! If you’re visiting in January, check out the broad range of free events and affordable ticket shows available at the Sydney Festival (9 Jan 2019 to 27 Jan 2019). The vivacious celebration of arts and culture is one of the most anticipated jamborees on Sydney’s calendar! 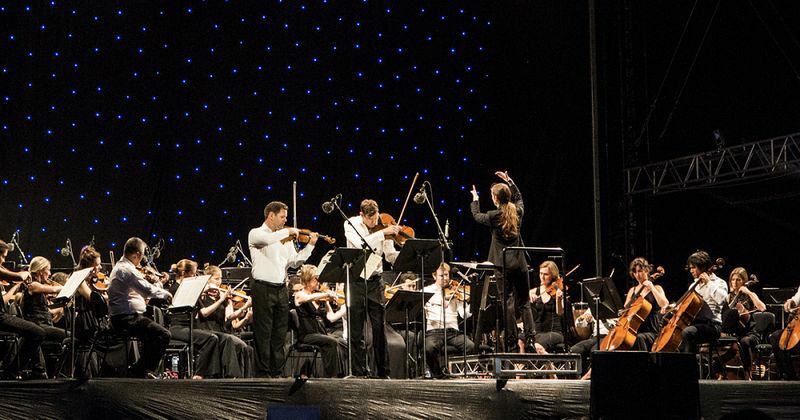 Pack a picnic hamper and enjoy the sweet ambience of classical music from the Sydney Symphony Orchestra at Symphony Under the Stars, a favourite free event of the festival. On Day 3, CTC’s 6D4N Grandeur of Sydney package tour will provide you with comfortable and hassle-free transport to Port Stephens, Australia’s dolphin capital just two and a half hours north of Sydney. 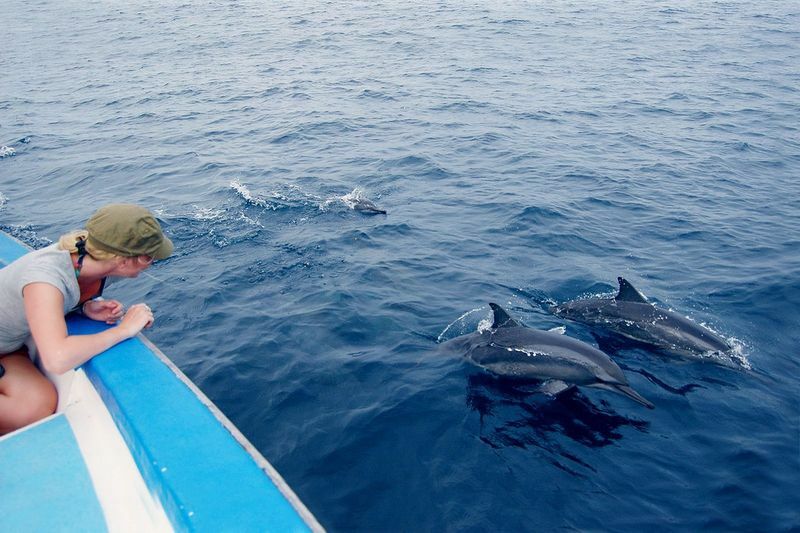 With wild dolphins frolicking in the coastal waters all year round, keep your ears peeled for the clicks and whistles of these cheerful and friendly creatures! You’ll also treated to a buffet lunch onboard a floating restaurant as you cruise through turquoise waters. It’s the best way to learn more about the aquatic life and geography of the region, and there’s a 97% chance of dolphin sightings. 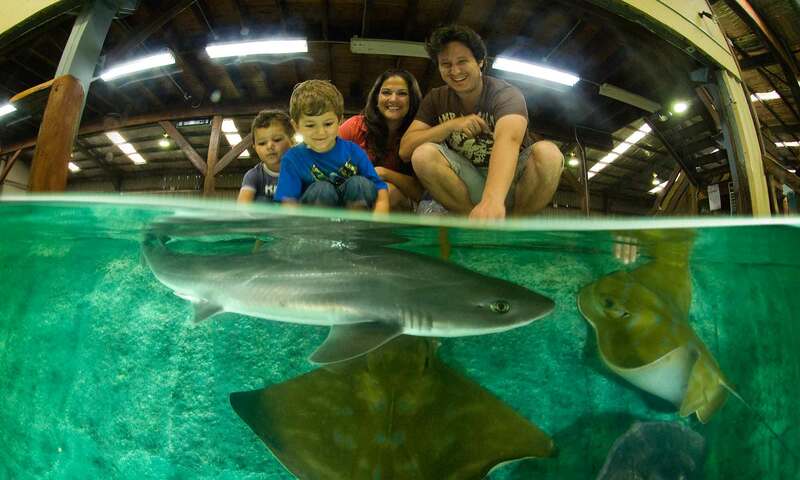 Swim with the wild dolphins with Dolphin Swim Australia, or get up close to sharks at Irukandji Shark & Ray Encounters. A range of other water activities are available as well, including guided dives, kayaking, and stand-up paddle boarding. 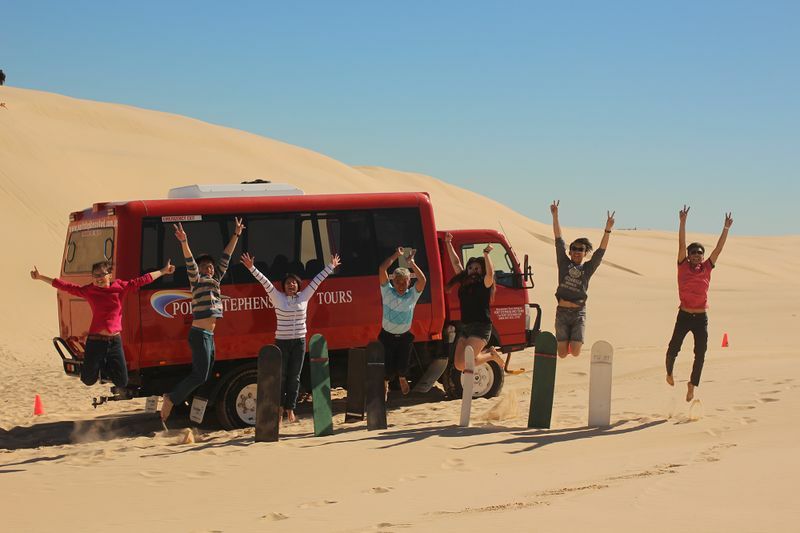 Jump onboard a four-wheel drive and begin exploring a completely different terrain not far away: the remarkable Stockton Bight Sand Dunes. 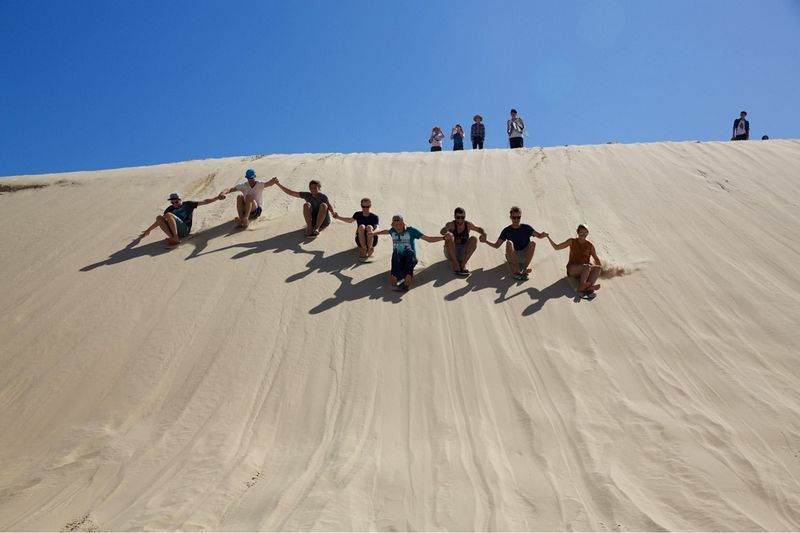 The largest moving dunes in the Southern Hemisphere, these sandy stretches extend 32 km from the Sygna Shipwreck to Anna Bay. It’s also part of the Worimi Conservation Lands, a heritage site preserving the ancient traditions of the Worimi Aboriginal Community. 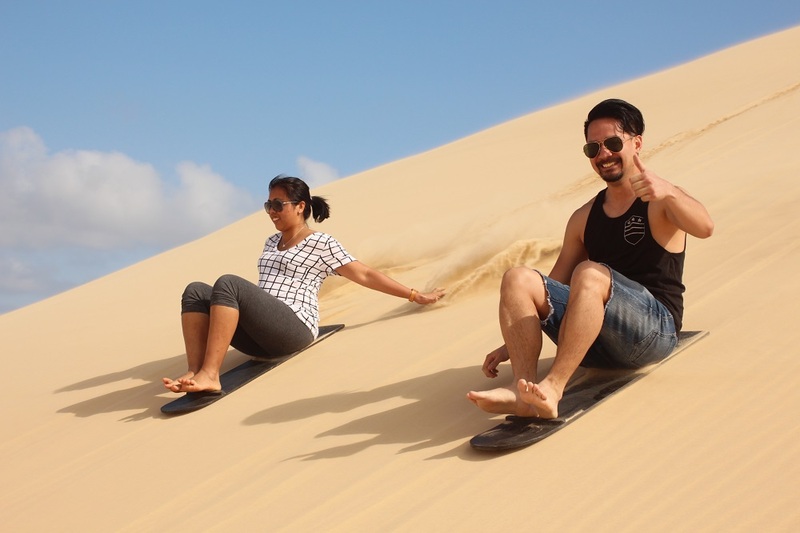 Go on a sand safari and sandboarding adventure with 4WD Tours with CTC’s 6D4N Grandeur of Sydney package tour; you’ll learn about the importance of the sand dune ecosystem, before heading for an exhilarating sandboarding session down the slopes with all equipment and instruction provided. Horse-riding sessions and camel-riding tours along the beach are also available. 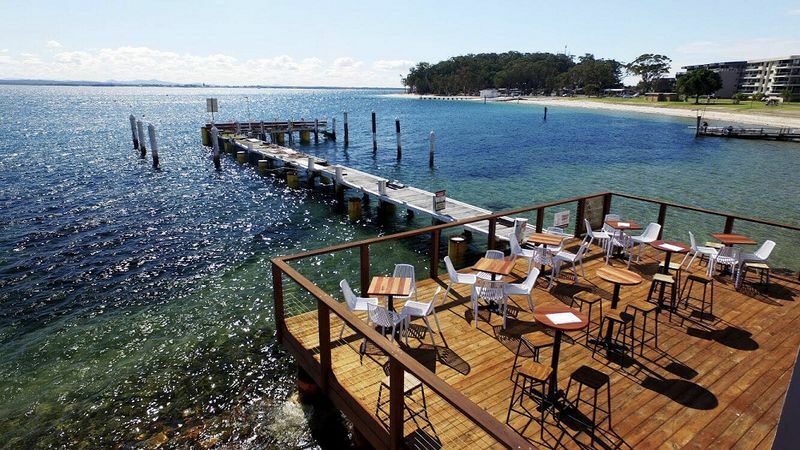 Before heading back to Sydney, stop by Little Beach Boathouse restaurant and bar to get a taste of the fresh local seafood, Aussie-style entrées, and craft beers. It’s a go-to for locals of Nelson Bay, with its impressive service and aesthetic setting right on the pristine bay waters. Have your oysters, cocktails, and dinner on the rocks! On your way to the Blue Mountains, the 6D4N Grandeur of Sydney package tour will take you to Featherdale Wildlife Park. Home to more than 1,700 native animals, the park maintains the world’s largest collection of Australian fauna. 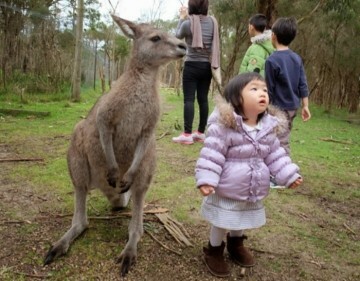 Get breakfast with a friendly koala, hand-feed kangaroos and wallabies, and learn about the myriad of native wildlife. 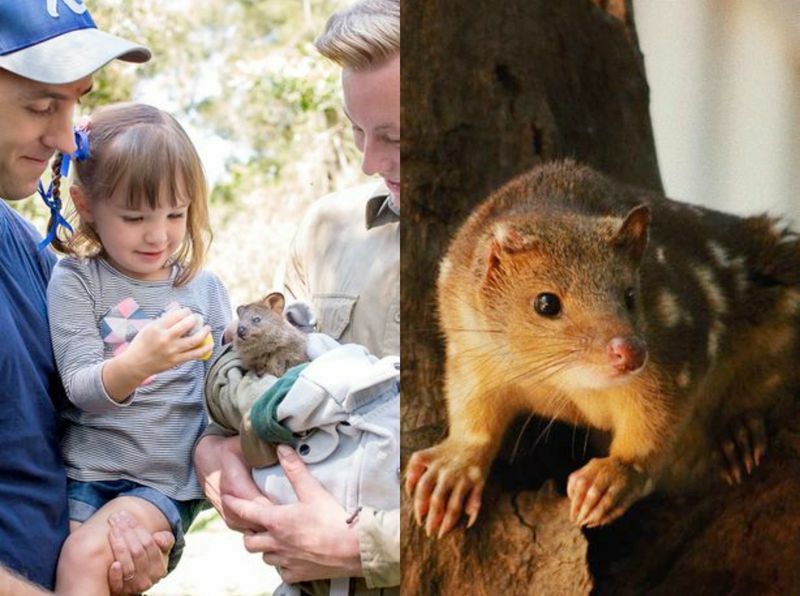 Visitors of the park also have the rare opportunity to get up close to endangered species, including cassowaries, quolls and Tasmanian devils. The World Heritage-listed Blue Mountains spans over a million hectares of national park and wilderness, known for its trademark blue haze hovering over the landscape. It’s believed that this effect comes from the oil droplets produced by the dense eucalypt forest, which scatters light rays to produce a blue tint. Dramatic and spectacular vistas of the mountains, surrounded by fresh mountain air, are accessible from numerous lookouts. Our recommendation is Echo Point, which looks over the iconic Three Sisters rock formation − a triplet of weathered sandstone peaks who, according to Aboriginal legends, were once three sisters before being turned to stone. The lookout also presides over the awe-inspiring cliffs of the Jamison Valley, the Ruined Castle, and Mount Solitary. The grand Katoomba Cascades are nearby, and accessible from a number of locations on the descending path into the Jamison Valley. 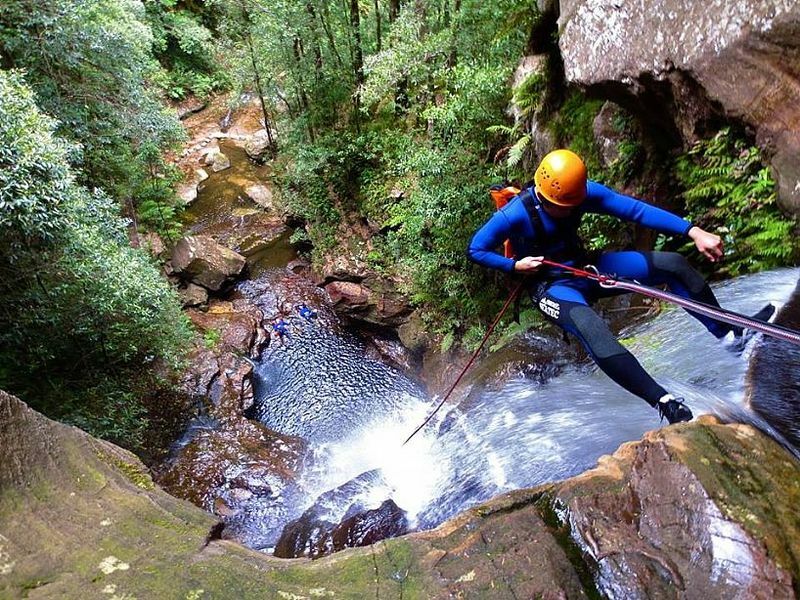 Adventure-lovers can get their pulses racing and experience the Blue Mountains in an uncommon way with a canyoning adventure. You’ll get waist-deep in nature as you swim through rock gorges, bushwalk and scramble through pristine forests, as well as abseil through waterfalls. Bilpin, a charming roadside suburb nestled within the Blue Mountains, houses a number of farms and orchards where visitors can pick their own fruits. Known as the “Land of the Mountain Apple” and the birthplace of Bilpin Apple Cider, the area produces an extensive range of apple species from tart Granny Smiths to the lesser-known Gravensteins. From around late January to June, the fruits are ripe and ready for picking – but call up in advance to avoid disappointment. Bring your family to Bilpin Fruit Bowl and pick up one of their homemade pies, jams or honey jars for lunch in their picnic grounds! Check out Bilpin Springs Orchard to pick up garden-fresh pears, plums, and peaches too. Pine Crest Orchard is another option, a family-run business growing a range of apples, stone fruits, berries, and nuts. On Day 5, use the free day from the 6D4N Grandeur of Sydney tour to explore more of Sydney or embark on a culinary adventure with a day trip to the Hunter Valley, Australia’s oldest wine region! Set your alarm clock for an early start! 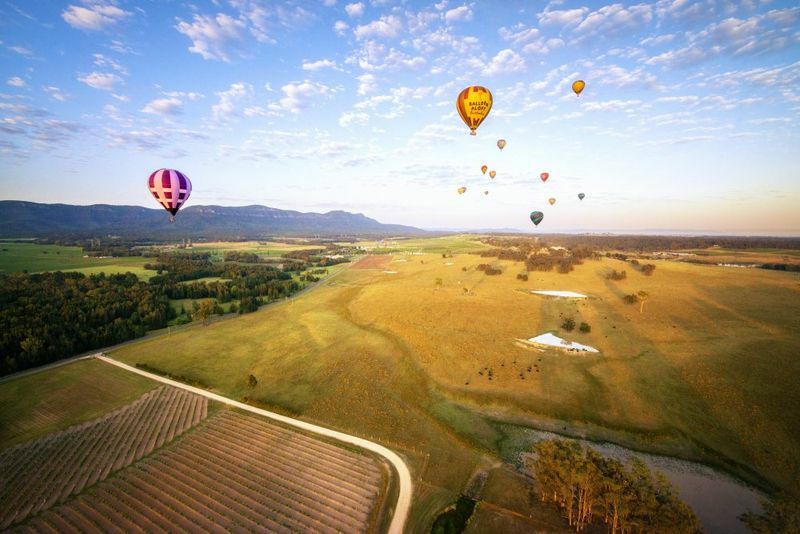 If you can arrive by sunrise, embark on the flight of your lifetime with a hot air balloon ride over the picturesque vineyards, olive groves, and the lush Hunter Valley countryside. Balloon Aloft and Beyond Ballooning are the two main local operators. 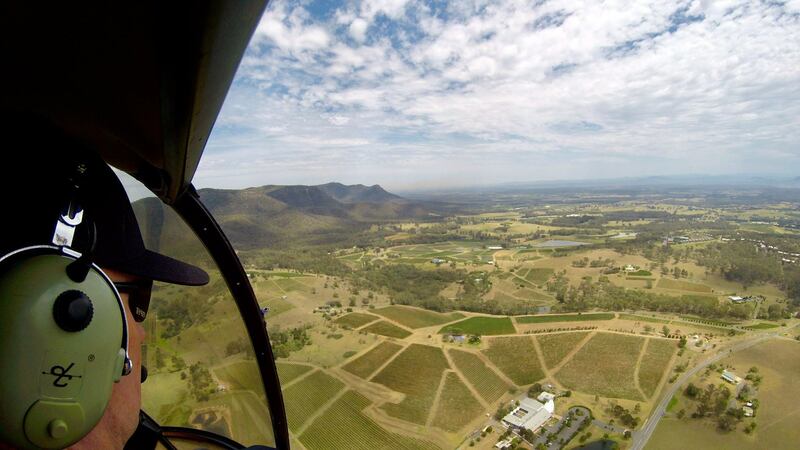 If you’re arriving later in the day, you can still soar into the skyline in a helicopter charter with Hunter Valley Helicopters or Slattery Helicopter Charter, either for a short scenic flight or a full-day wine cellar door or wine tour of the region. For a unique flight experience in an open cockpit, flying in a restored 1940s Tigermoth or a 1956 Winjeel, seek out Hunter Valley Vintage Wings. With over 120 wineries and 150 cellar doors in the Hunter Valley, from household name wineries to specialised boutique outfits, it’s difficult to decide where to begin. The region is world-renowned for its Semillon, produced from a white grape which thrives on its sandy river beds. Expect natural, citrusy flavours with the Hunter Valley varieties, although some wineries produce sweeter and off-dry styles too. 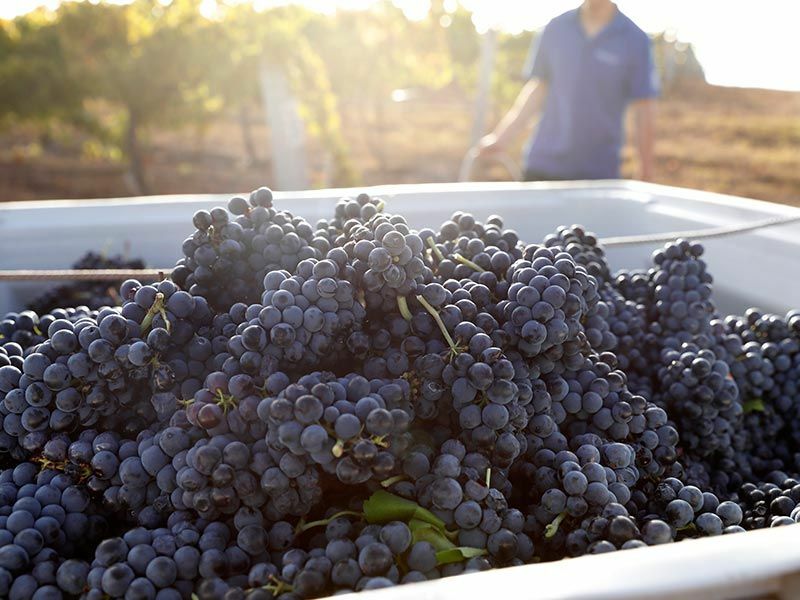 Quality Chardonnay, lively Verdelho, and medium-bodied, elegant Shiraz are other prized varieties in the Hunter Valley. Comprising 260 acres of lush vines, Dalwood Estate is the oldest vineyard in Australia and regarded as the birthplace of Hunter Valley wine. It’s open every weekend for wine tasting, cheese platters, and coffees. Enjoy a scenic meal here amongst the vines, in a sheltered picnic area overlooking the Hunter River. Tyrrell’s Wines is another standout of the region, with a rich legacy of 145 years of family ownership and over 5,000 trophies and medals under its belt. It produces one of Australia’s most awarded wines, the Vat 1 Semillon, first planted in 1923. For those keen to stray off the beaten path, the beautiful gardens and warm timber buildings of the boutique winery Pepper Tree Wines is a hidden gem of the region. Don’t leave without a sip (or a case) of their trademark single-vineyard Tallavera Shiraz and unique Semillon. If your appetite was not already whet by a polished glass, you’ll be drooling at the sight of the fresh local produce and meats plated with finesse by acclaimed chefs. Sampling the luscious, flavoursome whole food available throughout Hunter Valley is a quintessential experience! 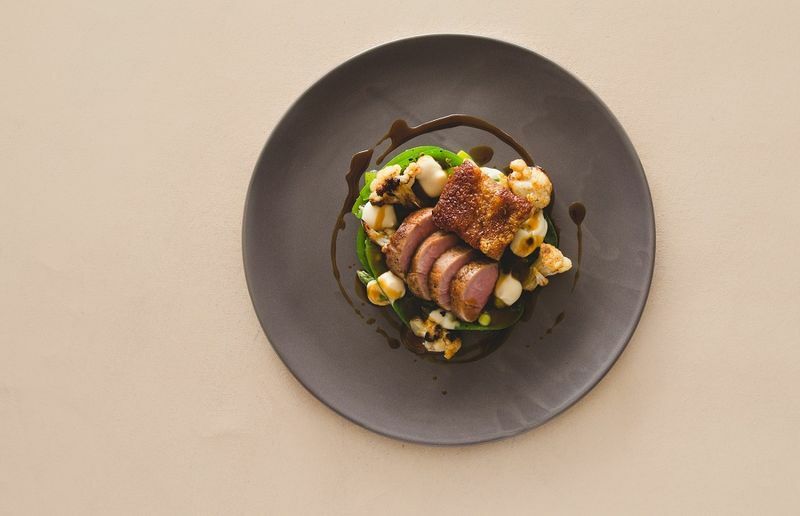 Muse Kitchen is a foodie favourite, with a seasonal contemporary menu centered around Hunter Valley’s finest produce and their on-site farm garden and vegetable patches. Or dine alfresco in the gardens of Amanda’s On The Edge, basking in the fresh air, magnificent view of the vineyards and enjoying their locally-sourced quality whole foods. Nanna Kerr’s Kitchen is also worth the visit, serving up a deliciously homemade, mostly organic menu in a family-friendly environment. After an adventure-filled five days, it’s time to head home. Enjoy airport transfers to Sydney Airport with CTC’s 6D4N Grandeur of Sydney package tour on Qantas Airways, as well as a complimentary breakfast if you’re taking an early morning flight. When you fly with Qantas, you’ll experience genuine Australian service and cuisine. 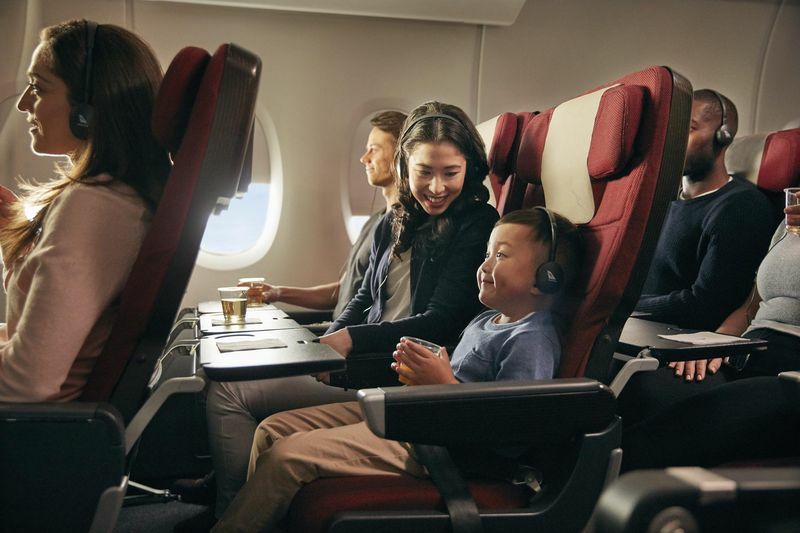 Experience Premium Economy with a private upper-deck cabin, Rockpool-inspired menu, bigger seat, extra legroom and complimentary comfort kits, or relax in Economy with delicious menu options, complimentary snack bar and boxed sets TV series. With the largest domestic network in Australia, continue your Australia journey with Qantas Airways and explore over 60 Australian destinations. Ready to taste the freshest oysters and squids, dine with the dolphins, and hike the mysterious Blue Mountains? Book your stress-free, all-inclusive holiday with CTC’s 6D4N Grandeur of Sydney package tour on Qantas Airways today! 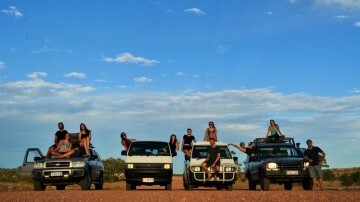 Brought to you by CTC, Destination New South Wales (www.sydney.com) and Qantas.